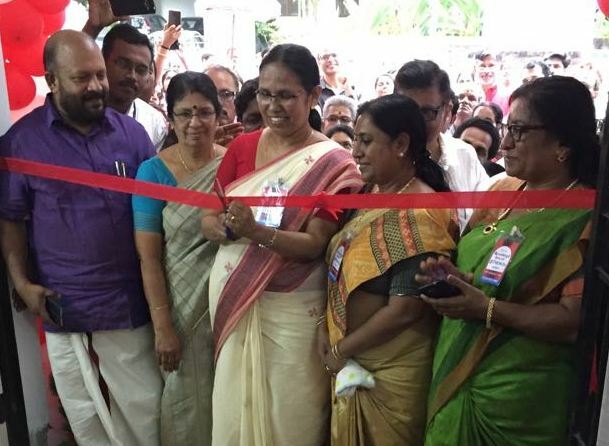 The old Government Homoepathic Hospital was functioning at Kezhakempattukara, Thrissur and because of the space limitation the hospital was shifted to the new building at Poothole. The function was presided by the Agricultural Minsiter Shri Adv V.S Sunilkumar who is the local MLA and he himself has granted 130 lakh rupees for the next completion of the project from the MLA fund. 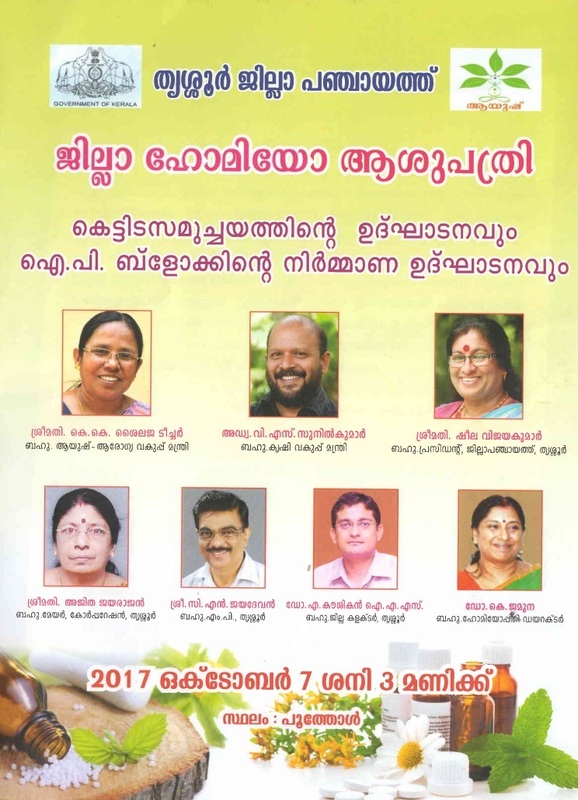 Other dignitaries includedThrissur M P Shri C N jaydevan, District Panchayath president Smt Sheela Vijaykumar, Thrissur Mayor Smt Ajitha Jayrajan, District Collector Sri Dr A Kowshikan IAS, Homoeopathic Director Dr.K Jamuna. The report was read by the Exe Engineer Smt T Deepa and the event was attended by the various members of the hospital management committee.